We all communicate through text messages. Most of us have a penchant for retaining months and months of texts we received from our friends and family. They are synonymous to a treasure trove. One of our most prized digital possessions. Like all other forms of digital data, texts are susceptible, due to some reasons such as accidental deletion, and attack by malware and viruses, to loss. It is therefore critical for users to know how to find deleted messages on iPhone. This article explains the different methods of doing so on iPhone XS/XS Max/XR/X/8/8 Plus/7/7 Plus/6S/6/SE/5s/5. Part 1: Can You Find Deleted Texts on iPhone? Part 2: 3 Ways to Find Deleted Texts on iPhone X/8/8 Plus/7/7 Plus/6S/6/5S/? Part 3: How to Find Hidden Messages on iPhone? Bar using Spotlight Search, iCloud and iTunes backups and Message Recovery tools, users cannot find deleted texts on iPhone. Though feasible, the first two methods come with their fair share of disadvantages. 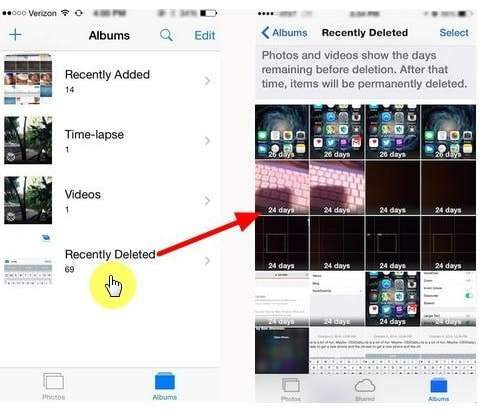 While you can find deleted messages using Spotlight Search, you can't recover them to your iPhone, even then, there is no guarantee that you will successfully locate them. Restoring your iPhone from iCloud and iTunes backups will erase all the content on your iPhone meaning anything that wasn't backed up will be lost. Considering that you may not have recently backed up your iPhone, using either method may not be sufficient. The most sufficient method of locating and recovering your deleted iPhone texts is by using third-party software. Part 2: 3 Ways to Find Deleted Texts on iPhone XS/XS Max/XR/X/8/8 Plus/7/6S/6/SE/5? Thinking about how to find deleted texts on iPhone? Doing so is simple! We recommend that you use Tenorshare UltData to locate and recover text messages. Moreover, it allows users to preview and select the messages they would like to recover, before recovering them. Do you want to recover your text messages but do not have an iTunes or iCloud backup? Worry not, Tenorshare UltData has got you covered: you do not need to have these backup files. It must also be stated that if you have them, you can still use them as a recovery point. Follow the procedure below. Step 2: Connect your iPhone to your computer preferably using the USB cable that came with your iPhone. Step 3: Click Recover Data from iOS device and proceed by clicking Start Scan. Step 5: Click the Recover button and select one of two options: recover to device or recover to computer. If you have an iTunes and iCloud backup file, you can easily restore your messages by following the procedure below. 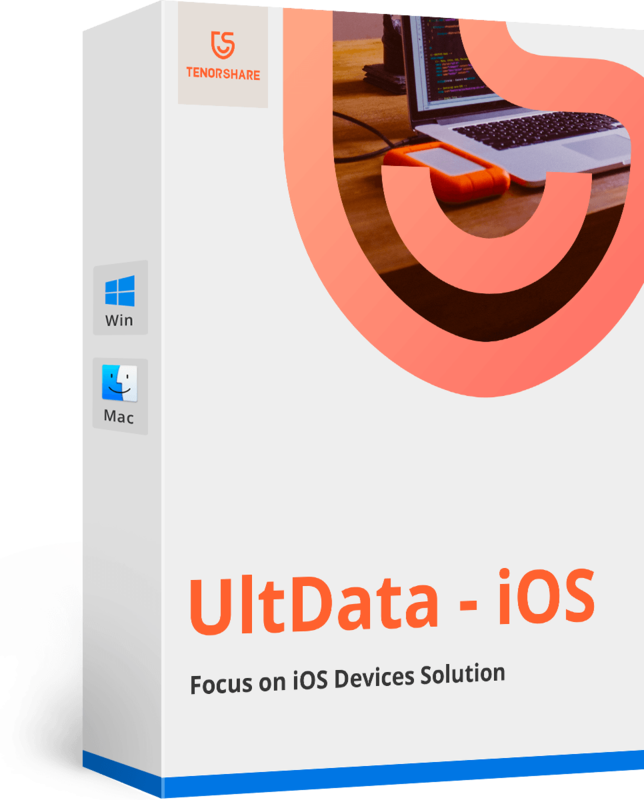 Step 1: Launch Tenorshare UltData, switch to iTunes Backup Recovery mode. Step 2: Proceed by clicking Recover files from iTunes Backup. Tenorshare UltData will automatically detect and display all the iTunes backups on your computer on the interface. Select one by using the device name, serial number or backup date and click Start Scan. Step 3: After successful scan, all the messages along with other data will be displayed. Click Messages, then click Show Only Deleted to display the deleted messages. Select the texts you want to recover then click Save. Step 2: Select an iCloud backup file by using name, date, version and size. To find hidden messages on iPhone, users can check Unknown Sender List by following the procedure below. Step 1: Go to Settings > Messages, then toggle on Filter Unknown Senders. Step 2: Switch to the Messages app and tap the Unknown Senders bar to view hidden messages. Alternatively, use Tenorshare UltData to do a thorough scan of the device and find hidden messages as already shown above. Finding deleted and hidden messages on iPhone can be done using any of the methods listed above. We recommend using Tenorshare UltData since it allows users to preview and selectively restore messages.